LA Unified is projecting that it has nearly doubled last year’s rate of reclassifying English learners as proficient and has hit Superintendent Michelle King’s goal laid out in her strategic plan. Preliminary data show the district’s English learner reclassification rate is 20 percent for the school year that ended last month, a vast improvement from the 11.6 percent rate achieved in the 2015-16 school year. The rate represents the percentage of English learners who have been reclassified as proficient in English. The official reclassification rate for the 2016-17 school year won’t be released until October. Faced with an English learner reclassification rate that dropped by 5.5 percentage points from the previous year at the beginning of the past school year, King pushed the money spent on coaches who help English learner teachers, known as Title III coaches, from the control of the district’s central office to local district offices to reallocate to schools as they saw fit. It was a move that aligns with King’s goal of shifting more money and power from central control to local districts and schools. “When Ms. King said decentralize the monies, I started jumping. I was so excited because it meant that we could really be cohesive and comprehensive and have the voices from the field and the data guide the work that we were doing in Local District Central as opposed to in isolation,” Nati Rozsa, Local District Central’s administrator of instruction told the school board’s Curriculum, Instruction and Education Equity Committee earlier this year. Board member Richard Vladovic, who chairs the committee, has been pushing schools all year for a 20 percent reclassification rate and has made English-language learners a key focus. “I’ve been pushing our superintendent. I met with all of the principals of the schools I represent, 17 percent, 10 percent that’s not acceptable. I want 20 percent for the year and that’s low. You can do 20 percent,” Vladovic said in an interview earlier this year. The state’s average reclassification rate was 13.3 percent. In the fall when she developed her strategic plan that calls for 100 percent graduation, King set a goal of a 20 percent English learner reclassification rate for this past school year. The goal in 2017-18 is 22 percent and rises to 24 percent in 2018-19. Los Angeles has the largest English learner population in the nation. In LA Unified, about 25 percent of the student population were English learners last year – about 141,000 students. Results from the state standardized tests known as Smarter Balanced Assessments taken last spring showed that while many subgroups test scores improved from the previous year, results for LA Unified’s English language learners were stagnant. However, English-learners who reclassify as proficient in English have consistently outscored their peers on standardized tests. Vladovic noted the importance of reclassifying before students enter high school so that they are equipped to pass the A-G coursework required for graduation and admission into California’s public universities. Vladovic said he analyzed data from the last three years that showed schools without Title III coaches who train teachers who teach English learners did just as well or better on reclassifying English learners than schools with coaches. “We’ve spent between $20 and $30 million and I didn’t see the results,” he said. “Part of what I’ve been able to do with Michelle (King) is to cut the coaches centrally and to decentralize the money and allow schools in local districts to design their own plan and hold them really accountable because no one was held accountable last year,” he said. When Rozsa appeared at the committee meeting, she explained how her local district is making improvements in its program for English learners at schools that fell below the district goals for English learner reclassification. 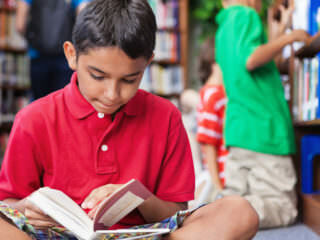 Local District Central has the highest number of students who are learning English. “There’s about 20 schools that I’m very concerned about, not only have they not made gains, but some of them have gone down and they were down to begin with,” she said. “The way we’re going to support these schools is in a differentiated way because we obviously know there are some schools that need more help than others,” she said. Vladovic told Roza he was excited about her local district’s plan. “I just want to see real change and I would like to see the results on a monthly basis,” he said. Vladovic has also pushed for improved reclassification rates with independent charter schools as they’ve come up to the board for renewal. He has asked charter school leaders whose schools have a low reclassification rate for English learners to report back to the board about their plan to improve. The reclassification rate for independent charter schools was 15.5 percent in 2015-16 and has dropped to 14.6 percent for the school year that just ended, LA Unified said in April. Twenty-two percent of students at independent charter schools in LAUSD last year were English learners, according to data from the California Charter Schools Association. Leaders representing four charter schools that were renewed in November explained to Vladovic’s committee earlier this year how they are working to improve reclassification rates for English-language learners. Vladovic stressed that he asks the same questions of LA Unified administrators and principals about English learner reclassification rates. “What we’re talking about is not charter, not district, we’re talking about kids who deserve the best, that’s where I’m headed,” he said.